At Hartnett Flooring, we understand that you have many options for your flooring needs. Some factors that could affect the quality of your floors are given below, but, above all, you need excellent quality and a reputation you can trust at a fair and reasonable price. With so many choices available, it is important that you do your research to choose a flooring solution that meets your needs. Do you have children or pets? Having pets and children can increase traffic and potential accidents, stains, and general wear and tear on flooring. This is because they tend to scratch the floors, spill liquids and more. To accommodate this special condition, it is best that you opt for durable type of flooring that does not wear or tear easily. We can recommend flooring solutions to meet your needs. Just like carpets, flooring also has the ability to harbor or hold allergens. Because of this, you must consider the presence or existence of different types of diseases such as allergies, or sensitivities to certain types of chemicals. In the event that there is someone in your family who has such illness, you should opt for the different types of flooring which are resistant to allergens. Keep in mind that the different types of flooring materials have varying maintenance needs. Some are quite low maintenance while others require more maintenance. While you may think that you should forego maintenance, remember that this is important to extend the life and beauty of your floors. 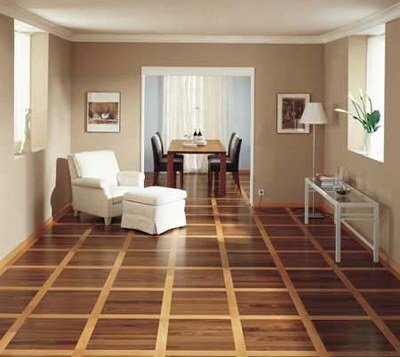 Different types of wood floors require different types of maintenance. Some just need sweeping while others need buffing on a regular basis. Make sure that you do your research about the maintenance needs of the flooring choices that you have so you can make the right decision. Another option to consider is restoring an existing floor, which is often a more cost-effective and environmentally-friendly option. We are experts in floor sanding, polishing, buffing, and restoration/repair. Any wood floor pieces that are too damaged to be repaired can be replaced and made to look like the rest of the floor. This saves on cost, materials, and time and gives your an excellent result. Hartnett Flooring are the experts, so talk to us to see how we can help.